Click here to start planning a fun Summer 2017. 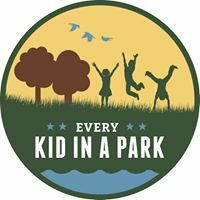 The Every Kid in a Park program gives every U.S. 4th grader and his or her family free access to 2000+ federally managed parks, lands and waters. To obtain the free pass, fourth graders simply participate in a fun online activity and receive a voucher for a free 4th Grade Annual Pass. Print out the voucher and take it with you and your family to a national park or monument (We went to the front gate at Fort Pulaski National Monument), where you can turn the voucher in for a laminated National Park pass. This program, called Every Kid in a Park, begins Sept. 1 of your fourth grade year and runs until Aug. 31 of that year. Learn more here. 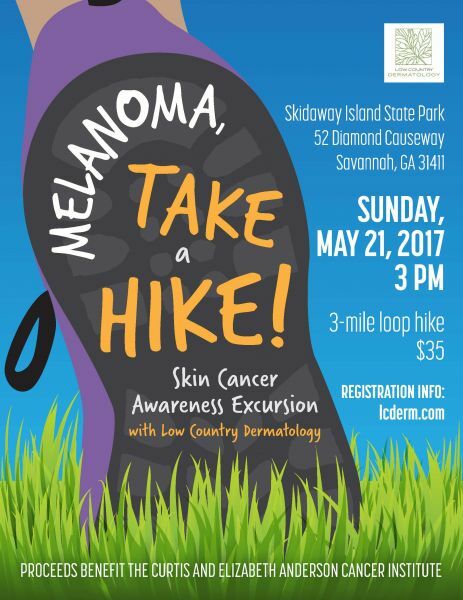 In honor May being Melanoma Awareness month, Dr. Corinne Howington of Low Country Dermatology in Savannah will lead a skin cancer awareness excursion – “Melanoma, Take a Hike!” – on Sun. May 21 2017 at 3PM at Skidaway Island State Park. Dr. Howington and her staff will lead a three-mile hike along the park’s scenic trails, sharing facts and prevention techniques for melanoma and taking questions. Water, sunscreen and some light refreshments will be provided. Proceeds benefit the Curtis and Elizabeth Anderson Cancer Institute. 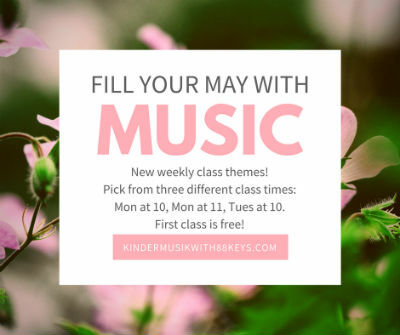 Spring into May with brand new themes at Kindermusik Savannah with 88 Keys Piano. The Monday classes, 10 and 11AM, are starting “Playtime!” for ages 0-5. The Tuesday 10AM class is beginning “Around the Farm!” for ages 0-7. Come see why 99.9% of parents recommend Kindermusik for their 0-7 year olds! Kindermusik…where music and learning play. Kindermusikwith88Keys.com or 912-988-KEYS. Visit kindermusikwith88keys.com or call 912-988-KEYS to join the fun. 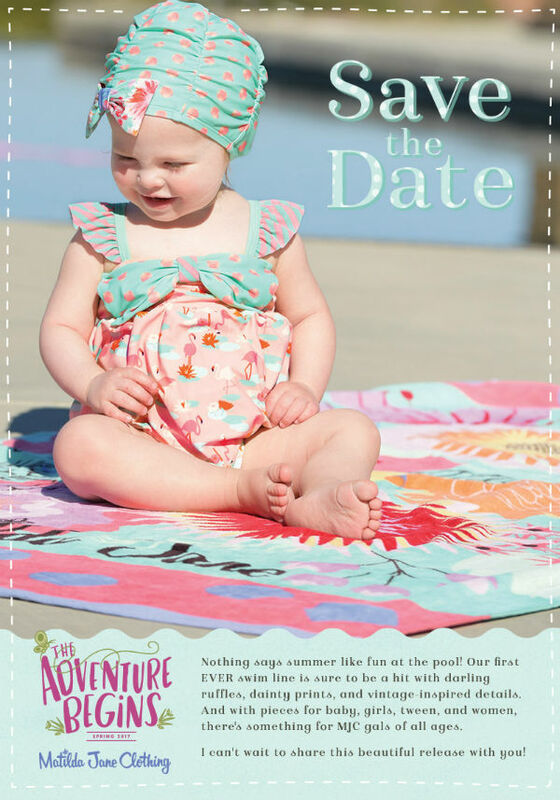 Introducing Matilda Jane Clothing’s first ever swim line – just in time for beach season. Picture darling ruffles, dainty prints & vintage-inspired details. Pieces for baby, girls, tween & women – something for all ages. Senior Team Leader Matilda Jane Clothing Robyn Shirley – serving Bluffton/Hilton Head Is. & the Savannah area – is looking forward to sharing this beautiful MJC swim line with you. Robyn is now booking trunk shows for those interested and is looking to add a trunk keeper to help her in Savannah. Shop directly from Robyn’s personal MJC website here. To get the inside scoop – request to join Robyn’s private Facebook group here. Tickets $7 adults, $5 children. Group rates available for summer camps. Call 912-472-4790. Group rates available for summer camps. FREE Gray’s Reef Tuesdays series of extraordinary ocean-themed documentaries returns this summer on most Tuesdays at 7PM. 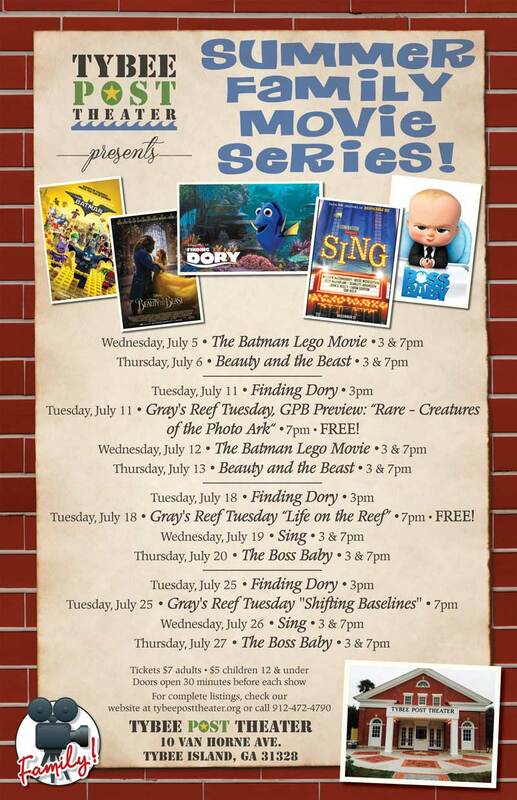 Doors open 6:30 p.m. and movies start at 7 p.m. each Tuesday. Free, with suggested donation of $5 to support the Tybee Post Theater and the Gray’s Reef National Marine Sanctuary Foundation. JEA Preschool Savannah is pleased to announce openings for this summer and the 2017-2018 school year in this dynamic early childhood education program for toddlers through Pre-K. Please contact Director Jodi Sadler to schedule a tour. 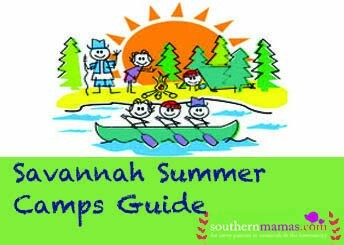 Don’t miss this opportunity to enroll your child in Savannah’s Quality Rated, premier early learning center! Learn more about JEA Preschool Savannah & see photos by clicking here. Carson Fortner’s Pooler Karate has been offering a variety of martial arts programs for all skills and all ages for seven years in Pooler. Pooler Karate is a family-oriented martial arts school that offers programs to children and adults ages two and older. Pooler Karate offers traditional American Tang Soo Do, Brazilian Jiu Jitsu and Krav Maga. They also offer martial arts to students who have special needs with their program called Special Kicks. Carson Fortner (owner/Master Instructor) prides himself in his students and loves his karate family as his own. 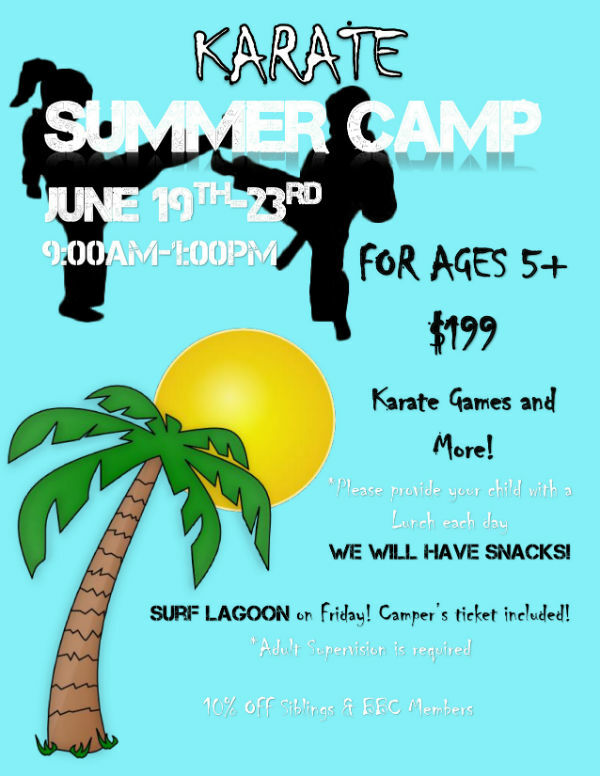 Check out these camps Pooler Karate will offer during Summer 2017. Snacks provided. Please provide a lunch for your child. 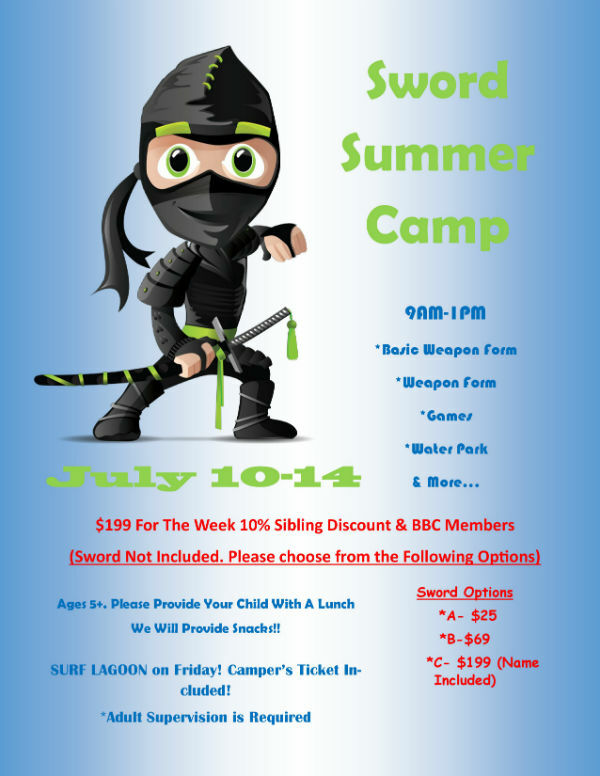 Basic Weapon Form, Weapon Form, Games, Water Park & More…. Surf Lagoon on Fri. July 14, campers ticket included. * Adult supervision will be required. Snacks provided. Please provide your child with a lunch. Stay connected with Pooler Karate by liking them on Facebook here. The May 18 2017 application deadline is quickly approaching for The 2017 Savannah Engineering Academy Summer STEM Camp. The five-day summer program @ Armstrong State University is June 5-9 2017. It is for rising junior and senior high school students interested in math, science and engineering. FREE DINING at Walt Disney World is now available for select dates this fall and winter. If you’ve been considering a Disney vacation, this popular promotion is a great way to save money. Available dates are Aug. 21-Sept. 30; Nov. 14-20; Nov. 25-27; and Dec. 8-23. Free dining is being offered to guests for their entire length of stay as long as your arrival date is within the promotion dates. FREE Dining Plans are available at select Walt Disney World Resorts and require a minimum 3-night stay with 2-day Magic Your Way ticket with Park Hopper or Water Park upgrade. Guests staying in a Value & Moderate Resorts will receive the Quick-Service Dining Plan and guests in Deluxe and Deluxe Villa Resorts receive the Disney Dining Plan. You can even upgrade your dining plan by paying the cost difference between your complimentary plan and the plan you want. This is a very popular time to try out the Deluxe Dining Plan. Availability is extremely limited, and dining reservations are already open for most of these dates, so let’s get your FREE DINING vacation package secured now! Contact Two Sisters Travel now for your no-obligation vacation quote or details. And remember, Two Sisters’ travel planning services are 100% FREE. Celebrate MOM with free admission to Jacksonville Zoo on Mother’s Day, May 14 2017. 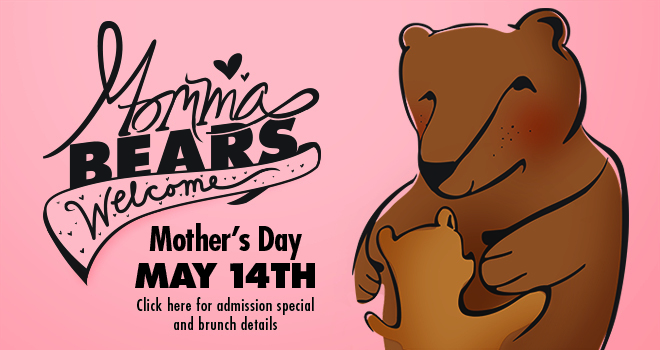 Mom gets in free with the purchase of any adult or child’s ticket with the coupon. Click here for the Mother’s Day Coupon! 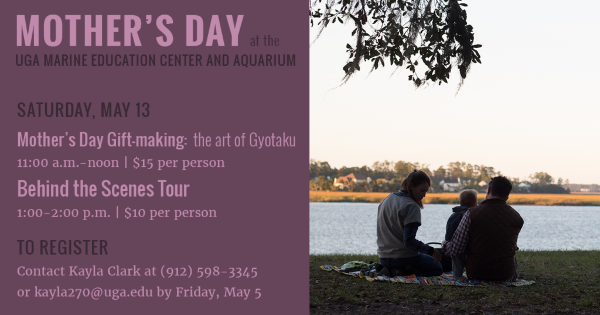 Savannah Mother’s Day Activities: Gift-making @ UGA Marine Education Center, Skidway Is. Discover Gyotaku, the Japanese art of fish printing. Learn about what makes a fish a fish, then try your hand at Gyotaku. Paper for Gyotaku prints will be provided, but if you would like to print on fabric please bring your own article of clothing, tote bag or cloth object to print on. Children 5 & older, must be accompanied by an adult. Explore the maritime forest at night at the UGA Marine Education Center and Aquarium. Staff will lead participants down the nature trails while listening for owls, insects, and other night noises. Participants may even spot deer or bats during the hike. This program is open to all ages. Children must be accompanied by an adult. Posted in Hikes, Mother's Day 2017, Parks/Playgrounds, Zoos/Wildlife Centers | Comments Off on Savannah Mother’s Day Activities: Gift-making @ UGA Marine Education Center, Skidway Is. Historic Savannah Foundation will host a free community-wide block party on Sat. June 3 11AM-3PM. Historic Savannah Foundation, a leading preservation organization committed to preserving and protecting Savannah’s heritage through advocacy, education and community involvement. Guerry Lumber Yard. Celebrate Guerry Lumber’s 90th anniversary with demonstrations and workshops highlighting the art of preservation. 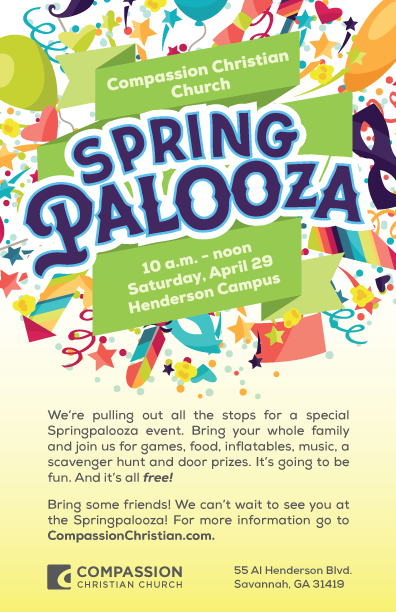 This festive and family friendly event will feature live music, food and drink, exhibits from local craftsmen and students, and a bike valet. There will also be presentations by Storyteller J’miah Nabawi featuring his interactive workshop WOOD Makes Music!™, and the Davenport House Museum Dancers. Guerry Lumber will donate $1.90 to Historic Savannah Foundation for every attendee of the Block Party, with a check presentation to follow in the post-party weeks. The $1.90 signifies the celebration of a historical, family-owned business turning 90 years old and acknowledging the fact that historic preservation plays a momentous role in our community. 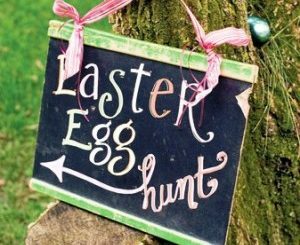 WHERE: 123 West 44th St.
FOR MORE FREE FAMILY-EVENTS, VISIT OUR FREE EVENTS PAGE HERE. The Don Ryan Center for Innovation in Bluffton will host the first-ever “Tech Fest” on May 18 featuring demo coding, robotics and animation plus food trucks. * Unique, fun learning environment and a great way to encourage innovation in students. Tech Fest will gather the region’s innovators for an evening celebrating technology in the classroom — and beyond. Outdoors at the Don Ryan Center for Innovation’s temporary headquarters, located in Buckwalter Place, adjacent to the Bluffton Police Department. 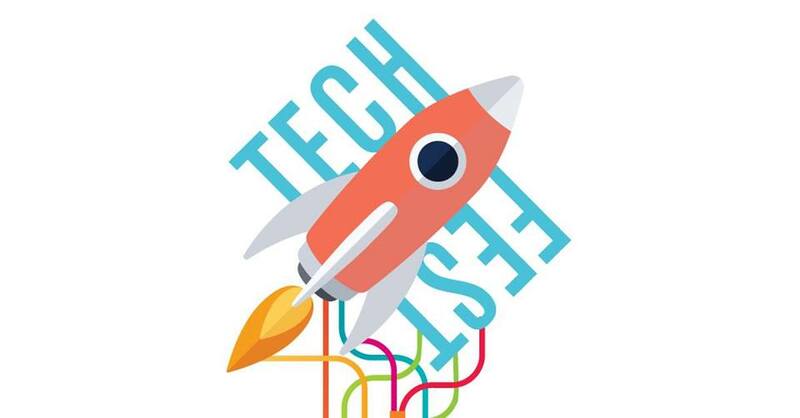 Tech Fest will gather educators, and student innovators from the area’s schools, with presentations and demonstrations from Bluffton Elementary, McCracken Middle School, Cross Schools, River Ridge Academy, Bluffton High School and May River High School. The event will feature students and their teachers showcasing the state-of-the-art technology and innovative teaching techniques being utilized in today’s classrooms and will give students the opportunity to present their groundbreaking projects. Food trucks include It’s Only Fair, Downtown Curbside Kitchen and Joe Loves Lobster Rolls.